Do you want to stop the bookies from taking your money? Finding a new way of profiting from horse racing is well worth doing. In this article I’ll be covering the extra places strategy. 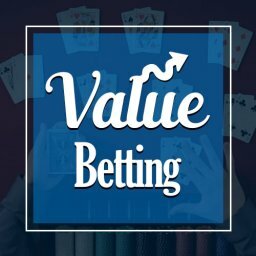 Betting with a solid strategy is something that can add pleasure as well as profit to your life. You can forget about relying on luck and being disappointed most of the time. A sensible approach turns the tables and will put you in control. So, what recommended ways are there of doing this? There are a number of strategies that you might be interested in them. 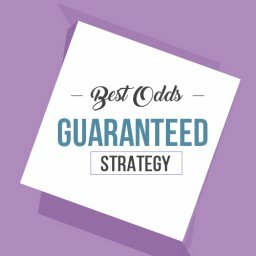 Out of them all, matched betting is a brilliant way to give yourself an unfair advantage. This term covers a few different tactics. If you are going to be betting regularly then you will probably use a number of them at some point. Which ones you should you know about then? Well, one clever approach to getting an advantage over the bookies is by using an extra places strategy. Never heard of this before? There are some very good reasons for using it from now on. Take a look at how this works and how you can earn tidy profits using it. What Is an Extra Place? This is an option you can use on some horse races. It won’t be available on every race, though. Still, it could turn out be your favourite betting strategy once you get to grips with it. If you don’t know the basics of each way betting then read this guide first. The concept is very simple to grasp really. Bookmakers will often pay out on an extra place. First of all, you need to understand how they normally pay out on places, though. Bookmakers will pay out on a certain number of places on each way bets e.g top 4 horses. We can look at the example of a handicap race that has more than 25 horses. This will normally pay out on the first 4 places. On the other hand, a smaller race may have 7 horses or less in it. In this case, only the first two runners to come home will count. This means that the bookies only need to pay out on the first 2 places. However, the bookie may bring out an offer than pays extra places. Therefore, you could get a pay-out for the first 3 instead of the first 2 in a 7 runner race. This might not sound like much. Yet, having just an extra place available to you can make all the difference. This sort of offer can make betting far more rewarding. Naturally, the secret is in using this extra place wisely. If you place a traditional each way bet you will simply stand a slightly better chance of winning than usual. On the other hand, by understanding how best to leverage this offer you get far more chance of winning handsomely. Therefore, it is time to get down to the nitty gritty of how it all works. How Does the Extra Place Strategy Work? Ok, so you now have a better chance of winning if an extra place is added. But how does this actually work? It isn’t as though the bookie is giving away free money, is it? The truth with an extra places strategy is that you need to be smart. This is when the full power of matched betting can be seen. By placing the right bets you can make sure that you win every single time. For instance, you place an each way bet on your chosen horse. Half of the bet goes on the horse to win and the other half goes on the horse to place. You then need to place a lay bet in the win and place market. This means that you are covering all possibilities, of course. Either way, you are going to get paid out on one of those bets. The worst case is a small qualifying bet loss. This is similar to how matched betting approaches. However, this strategy can bring with it an extra benefit. If your horse finished in the extra place position, you win both the bookmakers place part of the E/W bet and the lay bet! In the example above that would give you a £143.63 profit! We need to take a good look at how that would work in real life. Let’s say that your main bet is paying 5 places & the bookmaker has offered an extra place on the race. However, the betting exchange has the standard 4 places. 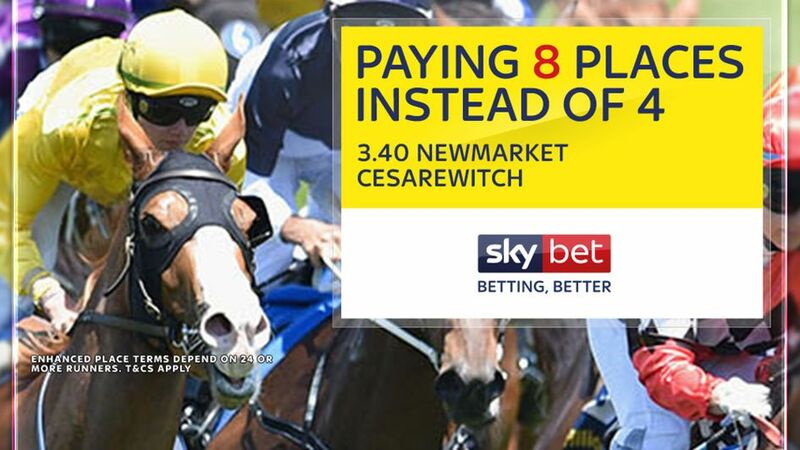 In this case, you will win both the place part of the each way bet and also the lay bet if the horse finishes exactly fifth. This is because you have a bet on it finishing in the top 5 but another on not finishing in the top 4. It sounds too good to be true, doesn’t it? You might wonder how this could happen. Is it a loophole or something illegal? The good news is that there is nothing illegal about this. It is simply a loophole that the bookies don’t expect many punters to be wise to. They are happy for you to just use a normal each way bet on this kind of extra place offer. Having said that, you aren’t going to win big all the time. Remember, your chosen horse has to finish in exactly the extra place for you to get the maximum profit. In the worst case scenario, you should expect to make a small profit or a tiny loss. If things works out perfectly then it should be a far bigger win for you. 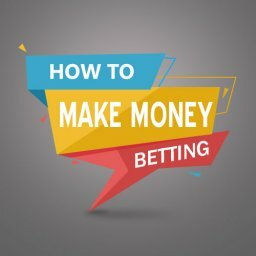 Either way, you will want to know exactly what the possible profits are before placing your bet. This isn’t a step into the unknown but a cleverly calculated investment. Do Extra Places Just Work On Horse Racing? When you hear about the extra place strategy it will probably be on horse racing bets. This is where extra place offers tend to be made available. But that does mean that it only works on this sport? No, extra place betting can also work wonders for you in other ways. For example, if you like to bet on golf then this can be perfect too. Even if you know nothing about drivers and birdies, you can still make money like this. In major golf tournaments you will see the bookies usually pay out on 5 places. However, special offers can see this increased to 7 or more places. This gives it the scope we need for a no-risk win. Exactly the same theory then applies as with horse races. You bet on a golfer finishing in a place with a bookie offering extra places. You then place a lay bet on the same golfer not finishing in the normal places with another bookie. Again, if they end up in one of the extra places then you win both of your bets. If they end up anywhere else then you will get a small win or a tiny loss. In no case will you lose all of your money, though. So far we have seen how an extra places strategy can work. Now we can take a look at this in greater detail. How much can you actually get in profit if you place this type of bet? We can see this by looking at a worked example of this sort of bet. Let’s imagine that it is the example we looked at earlier. In this case, the main bet covers 5 places and the lay bet 4 places. The special offer for the first 5 places is at ¼ odds. We place a £10 bet, £5 on a win and £5 each way. An example of the odds that can find is with the main bet at 22 and the lay bet at 18. The extra place lay out is at ¼ of the odds. The lay bet place odds are 5.4. While this might sound complicated, it is easy when you use the right software to work it all out. With this example, we can quickly see that if the horse wins then we win over £1.37. The same sort of profit is up for grabs if the horse ends up in 1st to 4th place. However, the biggest win of over £32.64 comes if it ends up in exactly 5th. Obviously, the potential win varies depending upon the odds on offer. However, the biggest win will always be if the runner gets into the free place offered by one bookie. Click here for the extra places calculator. 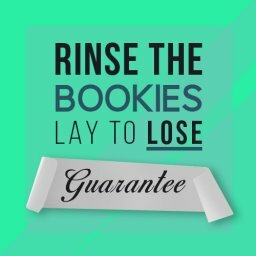 Where to Find Out Which Bookies Have Extra Place Offers? It is clear so far that an extra places strategy can bring you big rewards. You can stake money confident that you aren’t taking a risk. Yet, perhaps the biggest stumbling block is that of finding the right offers. As we saw with the worked example earlier, this can be profitable if you find the right offers. So how can you do this? The first step is to see which bookie offers extra places. Most of them will offer these deal from time to time. A big part of matched betting is having accounts with numerous bookies. If you do this then you will be ready to move no matter which bookmaker offers the best deal to you. Even then, this is the kind of special deal that you won’t see every day. Typically, bookmakers will offer extra places on big races. This means that you can usually see them in popular horse racing festivals. When there is a big event coming up you should be on the look-out for extra places. You will soon work out when to expect these deals to pop up. Extra place deals are useful ways for bookies to attract punters. This is why they are most popular in big races that lots of people bet on. You should also look out for them in the horse races that are shown live on ITV. It tends to be on the big horse racing festivals such as Cheltenham, ITV races and large Golf tournaments. We looked at extra places strategies in golf earlier as well. These are usually seen in major events that are televised. So, look out for these offers in the likes of the British Open and the US Open. The big issue with betting on major golf tournaments could be the sheer number of players in them. There are typically over 150 golfers in the British Open, for example. However, you won’t be betting on all of them. If you are going to bet on this event you will probably want to do some research. 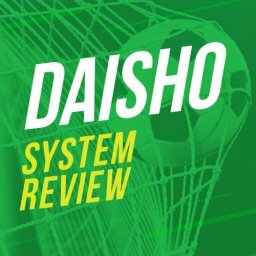 Which players realistically have a chance of finishing in the top places? Is There Any Software find extra places? The biggest worry you might have is that of working out the deals. After all, doesn’t it sound a little bit complicated to do this on your own? There are two sides to the bet too, to add to the difficulty. Finding an extra places deal is only part of the process here. You then need to make sure that you stake the right amount on each part of the bet as well. Get this wrong and you will fail to make the most of this terrific opportunity. Don’t give up, though. There is no reason to believe that you can’t make this strategy work. Thankfully, help is at hand with the right software. This is designed to make it easy for you to carry out your extra places strategy. In this way, you can simply put in the details and let it work out the rest for you. 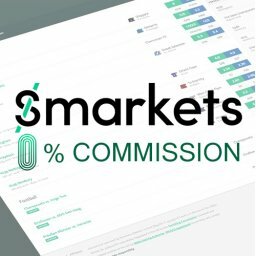 You will quickly see the ideal stake and the potential profit in each situation. In a matter of minutes you wile e exactly what you need to do. 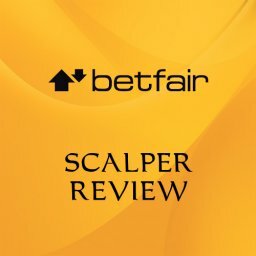 This is a terrific help in getting your bets placed quickly and without any fuss. You won’t waste any time getting your bets on. This means that you can take advantage of all of the deals that you find. A great way of doing this effortlessly is to use the Each Way Sniper software. 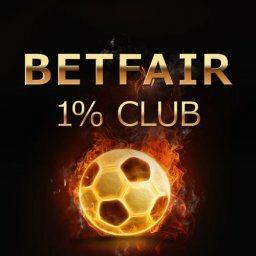 This is set up to allow you to very quickly place bets without any fear or doubts. You can then start to find and place bets simply with this software. Don’t forget that the more bets you place the more money you will win. Having a good strategy and the right software could make all the difference when it comes to making more money. What is Extra Place Dutching? We have seen that an extra place strategy can be highly rewarding. However, there is a relatively small amount of races with this type of offer. This means that you may be on the look-out for additional ways of making the most of these deals. In this case, you might be interested in the idea of extra place dutching. This is an advanced strategy that you can try once you are comfortable with the idea of extra places. Again, we are looking to see races that have extra places on offer with bookies. However, we are going to add to it by using a dutching strategy as well. This means betting backing all horses in the race with different bookmakers so you are guaranteed to hit the extra place. Indeed, you might decide to bet on all of the horses in the field. This opens up exciting possibilities for you to make the smartest possible bet. How Does the Extra Place Dutching Strategy Work? Dutching is a popular strategy that lets you win exactly the same regardless of the outcome. It was reportedly created by Al Capone’s accountant, and it takes all the risk out of betting. All you do is bet on a number of runners, or the whole field. By combining dutching with an extra place strategy you give yourself a terrific edge. You can bet safe in the knowledge that you are going to win no matter what happens. There are a couple of key steps to take to get started. The first one is to find a race with extra places. We have already seen that this isn’t an option in the majority of races. It also needs to have odds that let you carry out dutching. Will you find odds that let you bet on several horses? You might decide to bet on every runner for extra security. You need a piece of software to work out the stakes for you. 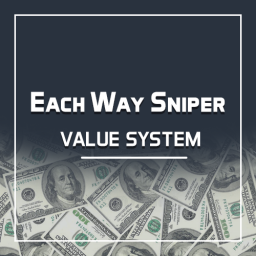 The Each Way Sniper system will find all the bets and do that for you. After this is done, the next step is to work out the stake to place. This is a vital part of dutching. 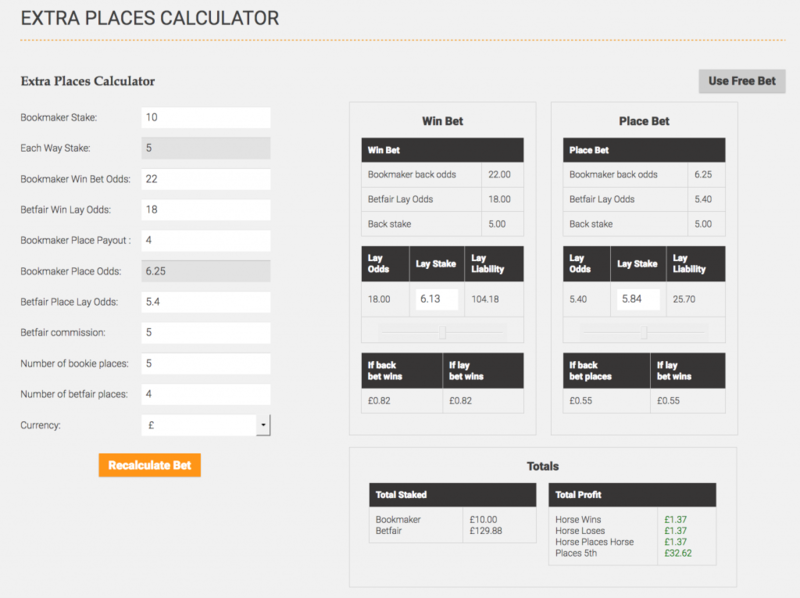 You need to work out the best odds with different bookies to calculate your ideal stake. 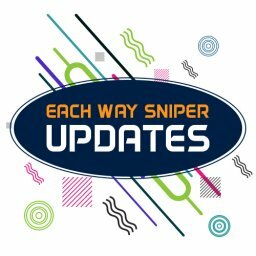 Once again, a Each Way Sniper dutching calculator will help you out. This sort of software will quickly show you how much you need to bet. It will also show you your winnings in all different scenarios. 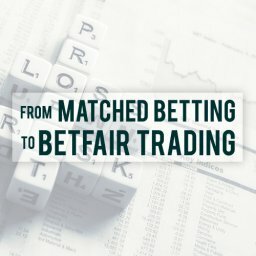 By using this technique you turn a bet into a sensible investment. It is then just a question of waiting for the results to see exactly how much you win. Regardless of how you use an extra places offer, you will want to take full advantage. 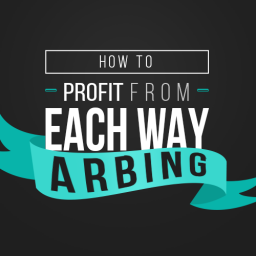 Earn as much profit as possible as you can by sticking to this simple but effective strategy.